Our statistical machine translation platform and hybrid features were presented at the European Commission offices in Luxembourg last Tuesday 22nd September. 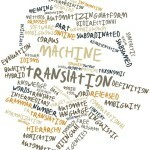 It is one of the tools that the European Union will consider, among other machine translation commercial solutions, as a tool to help its mandate for CEF (Connecting Europe Facility). 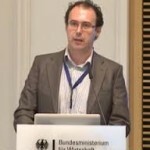 Pangeanic’s CEO, Manuel Herranz, presented the current state-of-the-art that PangeaMT version 3 represents. Representatives from the EU were particularly interested in the solid data management features, machine translation engine retraining routines, data cleaning and automated engine training and creation features. One of key features with the new PangeaMT version is the possibility to change translation algorithms and use rule-based systems like Apertium and Thot as well as the default Moses. It is also compatible with 3rd-party calls from other systems. Its powerful API can also provide machine translated output to requests anywhere in the world, although the platform is designed for onsite use at translation companies and organizations. PangeaMT is also compatible with several popular translation formats like ttx, sdlxliff, memoq, memsource, and most xml-based Tikal formats. The CEF (Connecting Europe Facility) program for the construction and deployment of infrastructures has the overall objective of facilitating online public services at a pan-European level (for example in health, justice, eCommerce, etc) with the ultimate intention of language not being a barrier for economic growth or mobility, as Europe consolidates a domestic market that wants to compete with large world economies. The EU also has the intention to offer specific automated translation services as one of the basic components at the core of a pan-European services support platform (known as CEF.AT). The CEF platform will include “specialized machine translation engines” and linguistic resources provided for these tools, as well as the necessary programs and interfaces to operate pan-European digital services in a multilingual environment. 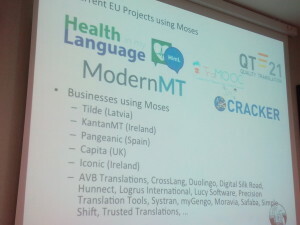 The CEF.AT will benefit from the Moses-based developments it has already implemented at its MT@EC service, already in use for internal purposes and developed and operated by European Directorate-General for translation (DGT) of the Commission, with a view to greater scalability of the service of translation and editing and in a safer environment. The DGT is working together with the Directorate General for Communications Networks, Content & Technology (DG Connect) for the deployment of the CET.AT platform, focusing mainly on the service and the implementation of an automated translation “engine factory”, focusing on domain adaptation and automated routined for the creation of machine translation engines – features which have underpinned PangeaMT’s famous DIY concept since 2011. In this context, the DGT is willing to research solutions based in the cloud, as well as adaptation and customization techniques and technologies for adaptation to linguistic domains developed as intermediate results or final projects financed by the EU, as well as commercial solutions that are already available on the market.